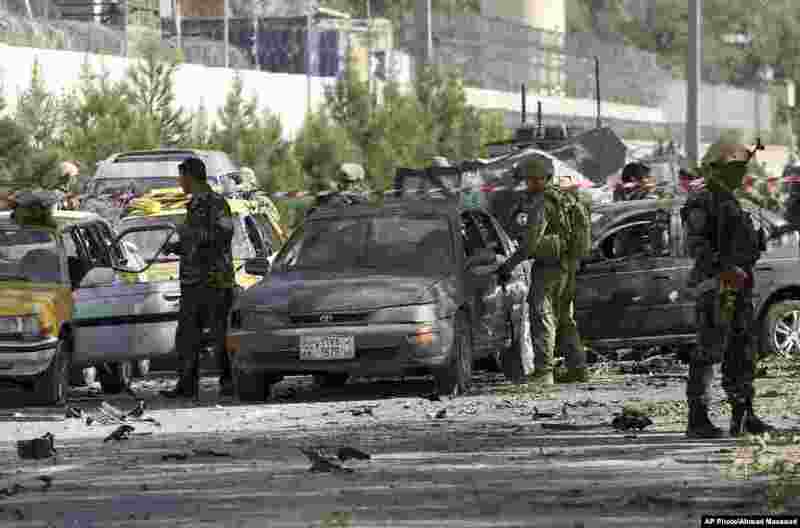 1 NATO and Afghan security forces inspect the site of a suicide attack in Kabul, Sept. 16, 2014. 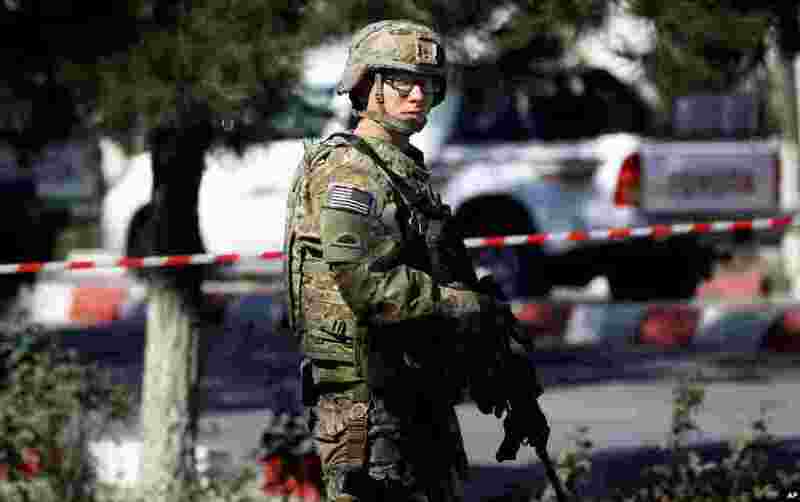 2 A U.S. military force stands guard at the site of a suicide attack near a U.S. military camp in Kabul, Sept. 16, 2014. 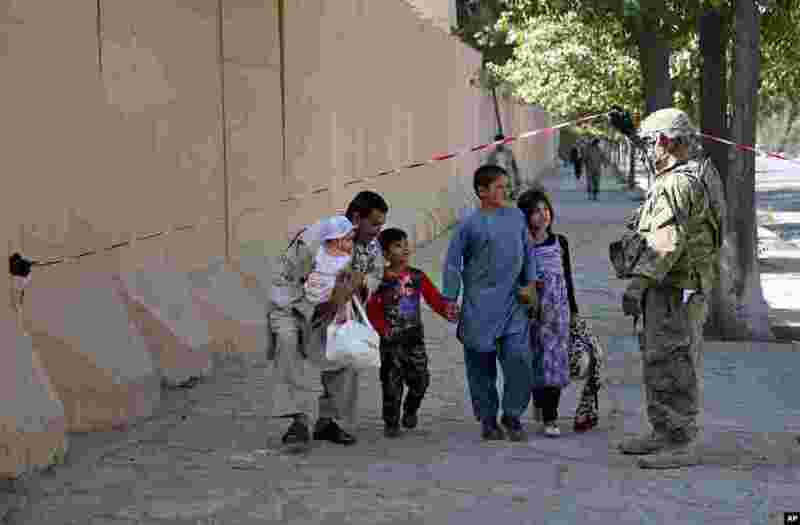 3 A U.S. military force helps an Afghan family walk past the site of a suicide attack near a U.S. military camp in Kabul, Sept. 16, 2014. 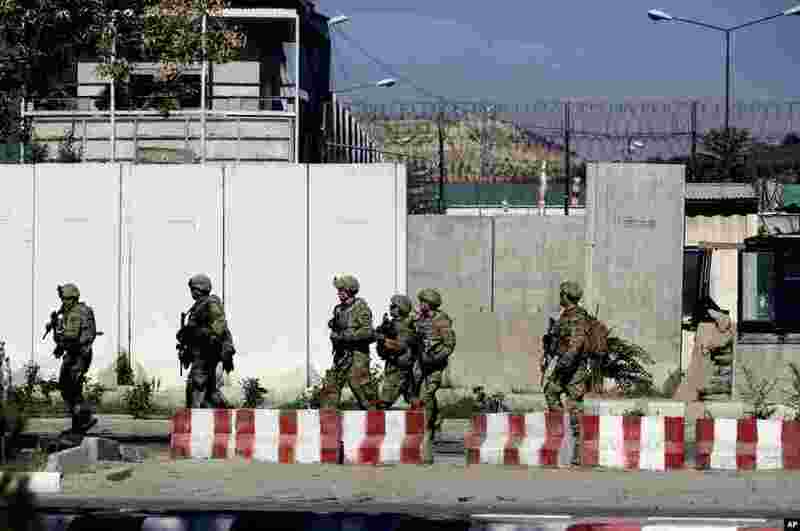 4 U.S. military forces stand guard at the site of a suicide attack near a U.S. military camp in Kabul, Sept. 16, 2014.